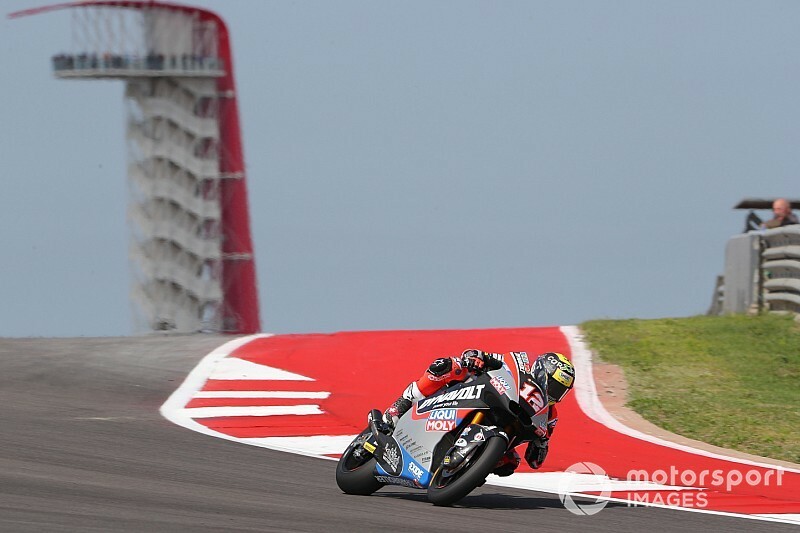 Ex-MotoGP rider Tom Luthi won the third race of his return to Moto2 at Austin ahead of Marcel Schrotter, as championship leader Lorenzo Baldassarri crashed on the opening lap. Baldassarri was an innocent victim of Jorge Martin's bike having a major moment at the fast Turn 10 left-hander, the Italian unable to avoid the KTM. The Italian still leads the championship, but his lead is down to three points ahead of Schrotter. It was the second crash of the opening lap as Fabio Di Giannantonio and local rider Joe Roberts tangled heading into the first turn, the duo also collecting Xavi Vierge. At the front, polesitter Schrotter had a lightning start but went too wide at Turn 1, allowing Alex Marquez and Luthi through. Luthi challenged Marquez from the get-go but the Spaniard showcased some great defensive riding to hold on to the lead for seven laps. Then Luthi finally found a way past at the end of the back straight, and as Schrotter put pressure on Marquez as well, Luthi was able to pull away. The Swiss rider built a lead of 2.5s in just two laps, a gap which he maintained to the finish. Schrotter completed an Intact GP 1-2 as he also passed the Marc VDS bike of Marquez at Turn 20 two laps after Luthi. Marquez continued to drop back and struggled with stopping at hard braking zones in the late stages, going wide on several occasions. He kept third place until only three laps were remaining, when he ran wide on two occasions and lost three positions. 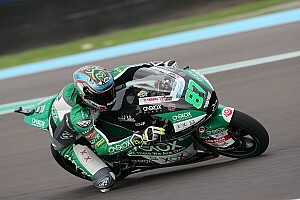 Speed Up's Jorge Navarro took third as a result, celebrating his maiden podium in the category. 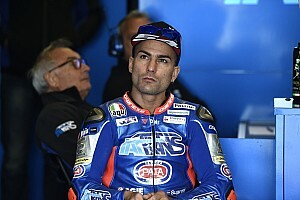 Mattia Pasini, stepping in for the injured Augusto Fernandez at Pons, took an impressive fourth while Marquez was able to salvage fifth ahead of Luca Marini (Sky Racing VR46). Gresini Racing's Sam Lowes finished seventh followed by Italian trio Simone Corsi (Tasca), Enea Bastianini (Italtrans) and Andrea Locatelli (Italtrans). 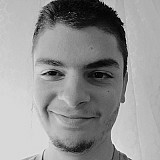 Reigning Moto3 champion Martin was the top KTM runner in 15th as teammate Brad Binder retired with a clutch problem and Marco Bezzecchi crashed. Iker Lecuona had a highside, while Xavi Cardelus, whose Angel Nieto teammate Jake Dixon did not race due to concussion, retired in the pits.